Courtesy of RE/MAX Associates Northeast. Wonderful one story custom home in the heart of Bear Branch is walking distance to schools and greenbelt. This lovely 4 bedroom home also features 2 car garage with workshop addition and portecachere for additional parking. Wood floors in formal dining and formal living, which would also be a great study. Large den with high ceilings overlooking backyard. Kitchen features granite counters and updated backsplash. Bedrooms are all spacious with ample storage. Beautiful U-shaped street with lots of mature trees. 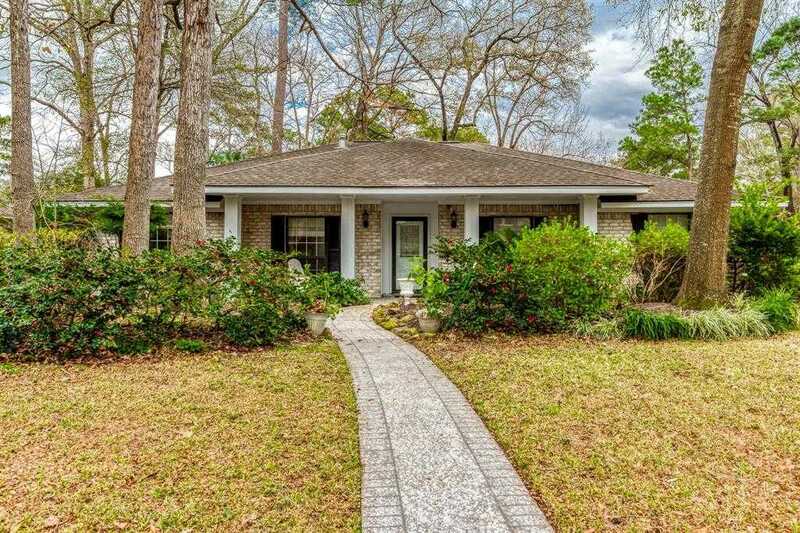 Zoned to desirable Bear Branch Elementary and Kingwood Park High School. High & Dry during Harvey! Please, send me more information on this property: MLS# 15812729 – $219,000 – 3314 Fawn Creek Drive, Kingwood, TX 77339. I would like to schedule a showing appointment for this property: MLS# 15812729 – $219,000 – 3314 Fawn Creek Drive, Kingwood, TX 77339.